Could Firefighter’s Arrest be the Result of a Culture of Entitlement? Archambault was arrested for shoplifting nearly $400 in merchandise from the Costco store in Torrance, California. Click on the thumbnail image for a larger photo. El Segundo firefighters and police officers have developed a culture of entitlement that has been fomented by their unions since at least the early 1990’s, if not earlier. This sense of entitlement appears even stronger among the firefighters than the police officers, although both the firefighters and police officers feel entitled to wildly excessive and unsustainable salaries, benefits, and pensions unheard of in the real world of the private sector, all on the backs of the overburdened taxpayers. The firefighter and police unions aggressively campaign for the City Council candidates who will give them the largest salary, benefits, and pension increases in their union contracts, no matter how excessive and unsustainable, and they aggressively campaign against the candidates who support fiscal responsibility. The El Segundo Firefighters Association (the firefighter union) has even used fear and intimidation to pressure voters into supporting their endorsed candidates. They sent out a Senior Scare Letter to elderly voters, threatening them with “the possibility of our paramedics not being available when you need them” if the three candidates they endorsed were not elected! El Segundo firefighter Michael Joseph Archambault was arrested by city of Torrance police on April 12, 2011, for allegedly shoplifting $354.95 worth of merchandise ($389.56 if you include $34.64 sales tax at 9.75%) from the Costco warehouse store in Torrance, California. He allegedly concealed five products including four computer/electronic items and a Waterpik Flosser in a trash can that was inside a box, while Costco loss prevention officers were watching, paid only $47.99 for the trash can inside the box without disclosing the five concealed items, and then exited the store where he was detained and arrested. This arrest was reported in the excellent May 26, 2011 LA Weekly article by Paul Teetor, titled “Rich Fireman Named in Shoplifting”. It was also reported in the Daily Breeze newspaper, but the article disappeared rather quickly. Michael Archambault is fully entitled to a presumption of innocence until proven guilty beyond a reasonable doubt in a court of law, and I hope he is truly not guilty. However, the information against him appears quite damning, and if he is in fact guilty, then he should not be given a “professional courtesy” that is not available to every other citizen in similar circumstances. Shoplifting is a crime of moral turpitude, a disqualification for many government jobs and positions of authority and public trust. If he is guilty, then the circumstances beg the question, how many times has he shoplifted or stolen hundreds of dollars worth of property at a time and gotten away with it? It is troubling that, if guilty, he targeted Costco, a store with a business model of being extremely fair to its customers by providing good to excellent quality products at very competitive prices, combined with a superior return policy. Shoplifting is wrong regardless of the victim, but to victimize a very fair business adds insult to injury. Furthermore, if guilty, was he planning on returning the trash can for a refund after emptying all the booty from it? Even more troubling is the fact that Michael Archambault is a lavishly overpaid El Segundo firefighter with 2009 total compensation of about $208,902 and a home in the very affluent South Bay city of Rolling Hills Estates, California, 90274. His home is in the “Rolling Hills Country Club” neighborhood, according to BlockShopper.com. Given Michael Archambault’s hire date of 9/13/1987 and his birth date of 10/06/1958, he should be eligible to retire at age 55 on 10/6/2013 with a lavish CalPERS defined benefit plan pension of about 78% of his single highest year earnings (3% per year of service), guaranteed by the taxpayers, with COLAs, and city-paid medical insurance for himself and one dependent, all for life. He should be eligible to retire with the maximum CalPERS pension benefit of 90% of his single highest year earnings at about age 59 on 9/13/2017. However, if he claims a disability retirement, whether or not he is disabled, then half his pension income will be free of state and federal income tax, and there are or may be rules that allow an earlier than normal retirement. Over the last ten years, about 55 percent of El Segundo firefighters and police officers have claimed disability retirements, which seems excessive given the fact that El Segundo is a city with few fires and little crime. El Segundo is a small city of about 16,000 residents, 60,000 daytime population due to businesses in the city, and 5.5 square miles. El Segundo has few fires and even fewer structure fires. Most of the fire department calls are paramedic calls. Out of a total of 2,170 incidents in 2010, there were only seven structure fires, and only one or two had damage estimated at more than $35,000. Thus, all structure fires combined made up only 0.32% of all incidents. Firefighters have a cushy job where they are paid to work for 48 hours, including paid sleeping time, meal time, exercise time, and time waiting for calls to come in. And then they are off duty for the next four days, allowing them plenty of time to work other jobs and run their own businesses. So why would a lavishly overpaid firefighter, in a position of authority and public trust, with access to citizens’ homes, cash, gold, jewelry, and other valuables in the course of his normal job duties, who gets a lavish defined benefit plan pension guaranteed by the taxpayers at age 55 and a full pension after only 30 years of service, and medical insurance for life, and who owns a million dollar plus home, risk his career and possibly a significant portion of his pension to steal $389.56 in merchandise that he could have paid for with only about eight or nine hours of work including paid sleeping time? If he did the crime, what was he thinking? The answer may be quite simple. This may be another example of the culture of entitlement that is prevalent among El Segundo firefighters. This culture is fostered by both the firefighters union and by the City Council members who give them wildly excessive and unsustainable salaries, benefits, and pensions in return for their campaign endorsements, monetary contributions, and other campaign support. The more excessively and lavishly they are compensated, the more entitled they become, until they reach their present state – where they act as a royal family entitled to everything they want, and they treat everyone else as peasants who must provide it for them. The arrest of Michael Archambault is Torrance Police Department case number 110020483, and Los Angeles County Superior Court case number SBA1SY03435-01. 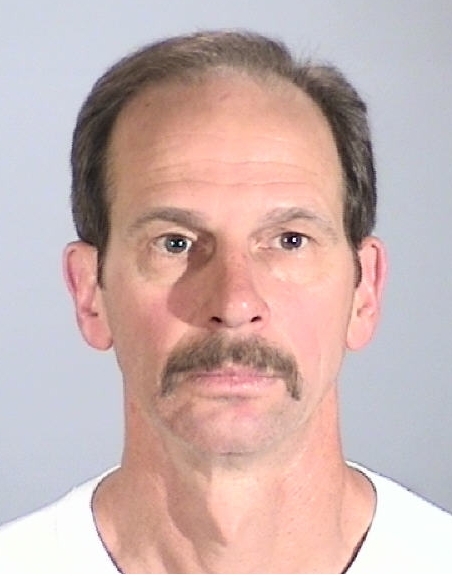 According to a check of the Los Angeles County Superior Court Criminal Defendant Index made on Monday, May 23, 2011 at 11:42:23 AM, a charge of one count of violating California Penal Code Section 484(a) was filed against Michael Joseph Archambault with Date Of Birth 10/06/58 in Superior Court at the Torrance Courthouse on 05/11/2011, and there was no disposition of the court case at that time. Mike Robbins made a California Public Records Act request for the public record arrest information from the city of Torrance, California Police Department under the California Public Records Act, California Government Code Sections 6250 et seq. The Torrance Police Department refused to release any arrest information, in what may have been an inappropriate “professional courtesy” extended to a sworn public safety employee of another South Bay agency. However, the following arrest information was provided by the Torrance Police Department in response to a follow-up Notice of Violation of the California Public Records Act sent to the Torrance Police Department, the entire City Council including the Mayor, the City Clerk, the City Attorney, the City Manager, and the Police Chief, which explicitly cited the California Government Code sections that required release of the arrest information and the legal recourse available for failure to comply with the law. Pursuant to California Government Code Section 6254(f), all of the following information is public record, “except to the extent that disclosure of a particular item of information would endanger the safety of a person involved in an investigation or would endanger the successful completion of the investigation or a related investigation.” The Torrance Police department could not reasonably make a claim for such an exemption. Name of victim: Costco, Inc. Factual circumstances surrounding the crime or incident: During daytime hours, a subject enters Costco retail store, conceals merchandise inside a trash can, pays for the trash can and exits the store without paying for the concealed merchandise. Factual circumstances surrounding the arrest: Costco store security detained a subject outside the exit door and made a citizen’s arrest of the subject. Amount of bail set: One thousand dollars. The time and manner of release or the location where the individual is currently being held: The individual was released at 20:00 on his own recognizance. You may search for California Penal Code Section 484(a) on the official California state government web site at the link below. Check the Penal Code box, enter 484 in the text search box, and click the Search button. 484. (a) Every person who shall feloniously steal, take, carry, lead, or drive away the personal property of another, or who shall fraudulently appropriate property which has been entrusted to him or her, or who shall knowingly and designedly, by any false or fraudulent representation or pretense, defraud any other person of money, labor or real or personal property, or who causes or procures others to report falsely of his or her wealth or mercantile character and by thus imposing upon any person, obtains credit and thereby fraudulently gets or obtains possession of money, or property or obtains the labor or service of another, is guilty of theft. In determining the value of the property obtained, for the purposes of this section, the reasonable and fair market value shall be the test, and in determining the value of services received the contract price shall be the test. If there be no contract price, the reasonable and going wage for the service rendered shall govern. For the purposes of this section, any false or fraudulent representation or pretense made shall be treated as continuing, so as to cover any money, property or service received as a result thereof, and the complaint, information or indictment may charge that the crime was committed on any date during the particular period in question. The hiring of any additional employee or employees without advising each of them of every labor claim due and unpaid and every judgment that the employer has been unable to meet shall be prima facie evidence of intent to defraud. This entry was posted in El Segundo, Firefighter and Police Union Compensation and Pensions, Firefighter Union Corruption, Firefighters Commiting Crimes, Government Employee Compensation and Pensions and tagged Costco, crime, El Segundo, El Segundo Firefighters Association, El Segundo Police Officers Association, ESFA, ESPOA, firefighters union, Michael Archambault, Mike Robbins, shoplifting, Torrance. Bookmark the permalink. 2 Responses to Could Firefighter’s Arrest be the Result of a Culture of Entitlement?